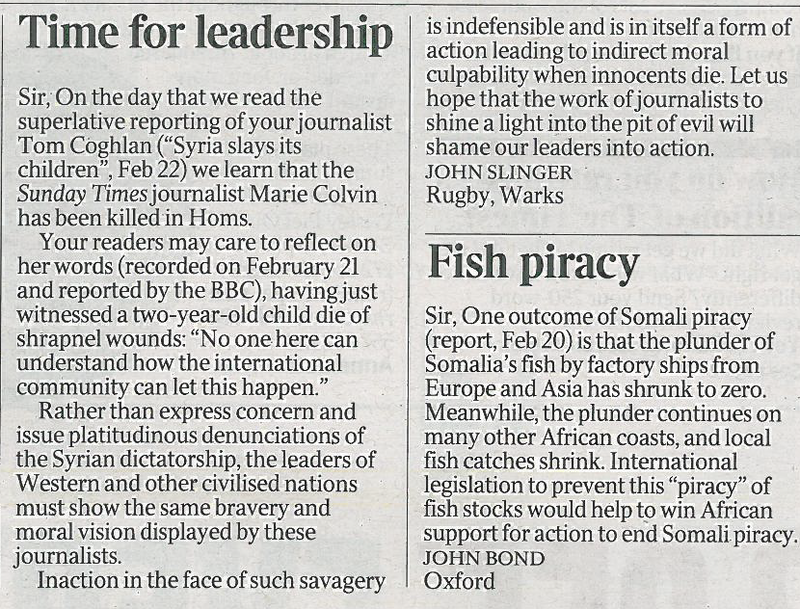 On the day that we read the superlative reporting of your journalist Tom Coghlan (“Syria slays its children”, Feb 22) we learn that the Sunday Times journalist Marie Colvin has been killed in Homs. Rather than express concern and issue platitudinous denunciations of the Syrian dictatorship, the leaders of Western and other civilised nations must show the same bravery and moral vision displayed by these journalists. Inaction in the face of such savagery is indefensible and is in itself a form of action leading to indirect moral culpability when innocents die. 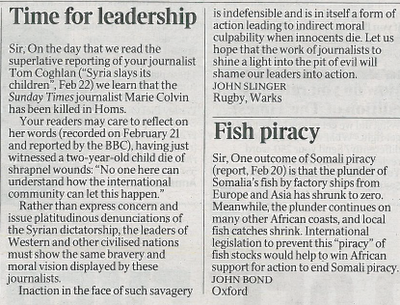 Let us hope that the work of journalists to shine a light into the pit of evil will shame our leaders into action. @JohnSlinger Yes, saw that in the paper too. V well put indeed.